An FDA approved drug commonly used for malaria and rheumatoid arthritis showed considerable promise recently in improving the effectiveness of treatments already being used to fight malignant mesothelioma and other cancers. 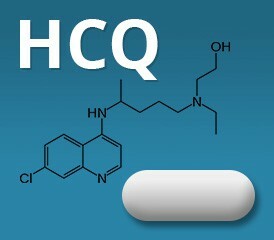 More than 30 Phase I and Phase II Trials have shown that adding hydroxychloroquine (HCQ) can enhance the anti-tumor activity for chemotherapy, radiation and immunotherapy, according to Ravi Amaravadi, M.D., an assistant professor at the Perelman School of Medicine/Abramson Cancer Center within the University of Pennsylvania. Amaravadi discussed his findings this week at the annual American Association for Advancement of Science meeting in Vancouver, British Columbia. The findings are encouraging for patients with mesothelioma, the cancer caused by an exposure to asbestos fibers. Because of a long latency period between exposure and symptoms, mesothelioma usually is well advanced before it is diagnosed. And traditional cancer therapies have not been very effective against it. The use of HCQ in laboratory models of treatment-resistant cancers has shown an ability to block autophagy — the internal recycling that leads to cancer cell growth — and hopefully improve therapy effectiveness. Autophagy often increases in cancer cells, providing a way to use damaged parts to fuel more toxic cells. It also explains how some cancer cells can withstand chemotherapy. “While our knowledge of the role of autophagy in cancer is still in its infancy, the opportunity to learn about it, both at the bench and the bedside, could accelerate the translation of basic advances into clinical benefit for patients with cancer,” Amaravadi said. The Perelman School has more trials planned to determine how effective HCQ can be. It is also exploring more specific and more potent inhibitors. It also hopes to identify biomarkers to predict which patients will respond to this type of therapy. According to the Perel School of Medicine, Amaravadi’s lab is working with a compound Lys05, which is considerably more potent than HCQ at blocking autophagy. The Abramson Cancer Center also recently produced a new study that detailed some promising results for a modified cold virus that could battle mesothelioma. The HCQ research is in various stages with several different malignancies, including melanoma, renal cell carcinoma, breast cancer, prostate cancer and colon cancer among others.